A theatre student has landed a dream job – travelling Italy with a performing troupe, teaching children English. 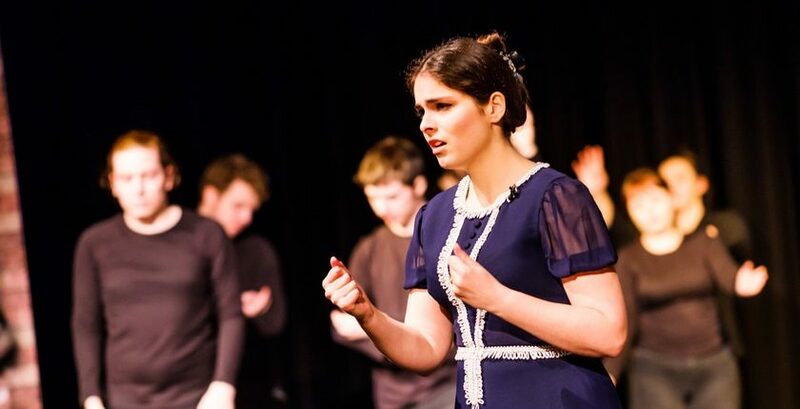 Isabella Provenzano, who completed a BA (Hons) in Theatre, Television and Performance earlier this year at Wrexham Glyndŵr University, will be joining the Lingue Senza Frontiere theatre company in Italy for a touring performance throughout the first half of 2019. The job itself involves performing to children to teach them English through theatre, across northern and central Italy. Having secured the role, Isabella – who is originally from Sicily– is now looking forward to returning – and to working in her chosen industry. “I love performing, it’s my number one goal in life. Anything performance related is exciting for me,” said Isabella. Isabella credits her time at Glyndŵr with helping her prepare for her upcoming role – and is urging others looking to follow in her footsteps to use their studies to help them find something they love doing. She said: “Throughout my three years at Glyndwr, we conducted Theatre in Education or TIE pieces and performed them to children of all ages. This experience has definitely prepared me for this upcoming job. “I’d advise anyone who is considering taking a similar path to me to take the chance – do what you love! Life is too short to settle for something less than what you love doing. Isabella is one of hundreds of undergraduates from Glyndŵr whose studies have led to employment. A graduate destinations survey showed that 93.5% of Glyndŵr’s UK undergraduates were in work or further study 6 months after completion of their studies. Senior Lecturer in Theatre, Television and Performance, Elen Mai Nefydd, said: “I am delighted that Isabella has secured her first role – and the chance to tour her home country is an added bonus!